The provision is set to take effect in 2018. 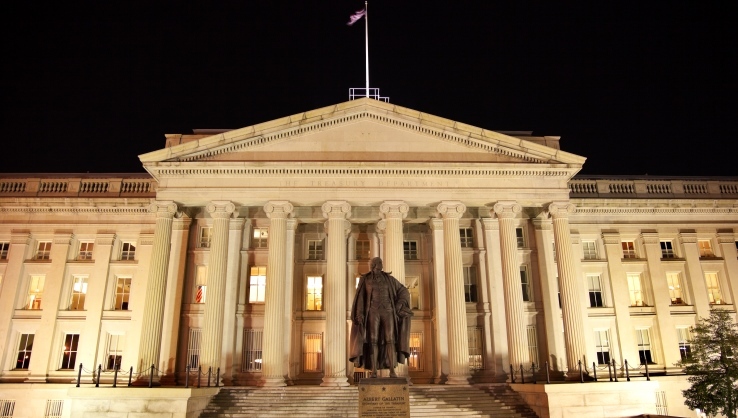 The IRS -- an arm of the Treasury Department -- received a total of 33 responses to its request for comments on its to-do list. A major employer group has one request for the Internal Revenue Service (IRS): For the agency to do something about a health law provision that could wallop employees with high-cost health benefits. Joe Trauger, vice president for human resources policy at the National Association of Manufacturers (NAM), asked the IRS for help with the Patient Protection and Affordable Care Act (PPACA) “Cadillac plan” excise tax provision in a comment letter. NAM sent the letter in response to an IRS call for suggestions about tax-law guidance jobs it should put on its to-do list. The IRS received a total of 33 comment letters. Starting in 2018, the PPACA Cadillac plan tax is supposed to impose a 40 percent tax on the issuers of expensive health benefits packages. The tax could apply to individuals with health benefits worth more than $10,200 and families with benefits worth more than $27,000. Some health policy specialists have argued that the Cadillac plan tax could be an effective tool for holding down U.S. health care spending. Trauger argues in the comment letter that implementing the provision would increase costs for employers and employees without driving the cost of care. NAM will continue to work to repeal the tax, he says. To avoid disruptive or costly problems, employers need to begin planning for the excise tax now, Trauger writes. ”Having a full understanding of how this tax will be implemented is absolutely essential to the viability of many employer plans,” Trauger adds.